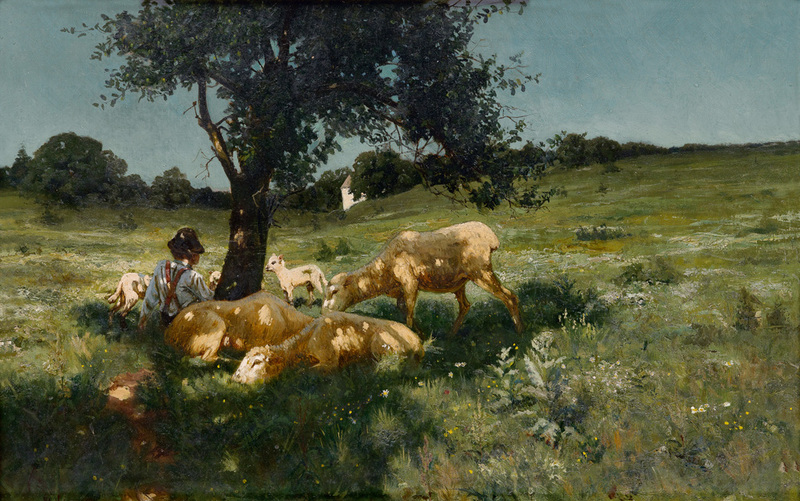 Henry Ossawa Tanner’s Boy and Sheep Under a Tree was on loan to the Philadelphia Museum of Art for many years. 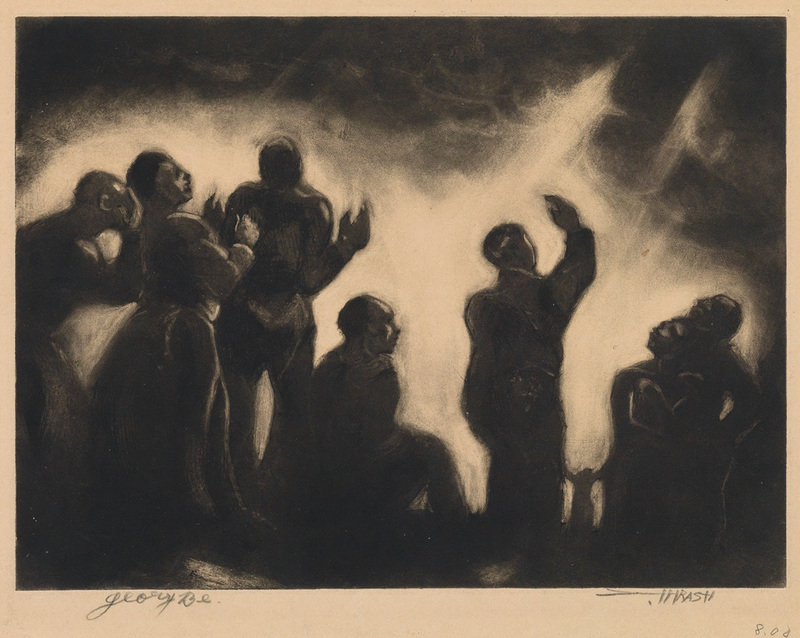 The show Represent: 200 Years of African-American Art currently on view at the Philadelphia Museum of Art–curated by Gwendolyn DuBois Shaw and John Vick–features works by African-American artists in the museum’s permanent collection. In 1899, the museum acquired the painting Annunciation (1898) by Philadelphia artist Henry Ossawa Tanner–it was the first acquisition of African-American art by a major museum. This initial acquisition set in motion the museum’s dedication to collecting work by African-American artists. Dox Thrash’s carborundum mezzotint and etching Glory Be! is featured in Swann’s April 2 auction. Swann’s April 2 auction, Ascension: A Century of African-American Art, includes a Tanner painting, Boy and Sheep Under a Tree, which had been on loan to the Philadelphia Museum of Art for several years. 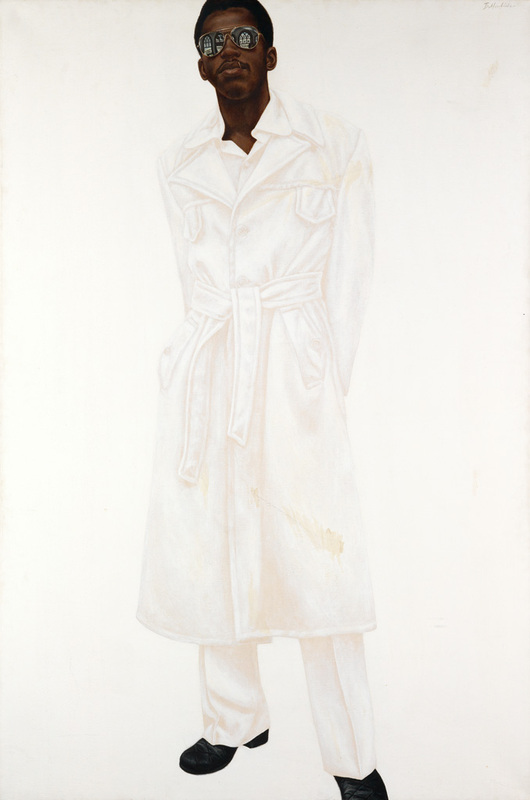 Philadelphia artists Barkley L. Hendricks and Dox Thrash are also featured in both Swann’s forthcoming auction and Represent. Each of these artists–Tanner, Thrash and Hendricks–made momentous impacts upon American art in their early careers, from landscape painting to printmaking and portraiture. Thrash, known for his WPA-era (1935-1943) prints, was one of the inventors of the carborundum printmaking process. Barkley L. Hendricks’ portrait of Steve is the epitome of cool. Hendricks is widely recognized for his life-sized portraits from the 1970s, which evoke coolness and confidence but also explore the complexities of the black body. Hendricks’ portraits, revelations in the 1970s, are now–as suggested by critic Roberta Smith and curator Trevor Schoonmaker–points of reference for younger artists like Kehinde Wiley who analyze representation and identity through portraiture. Represent is on view through April 5. Thanks to Imani Higginson for this post.